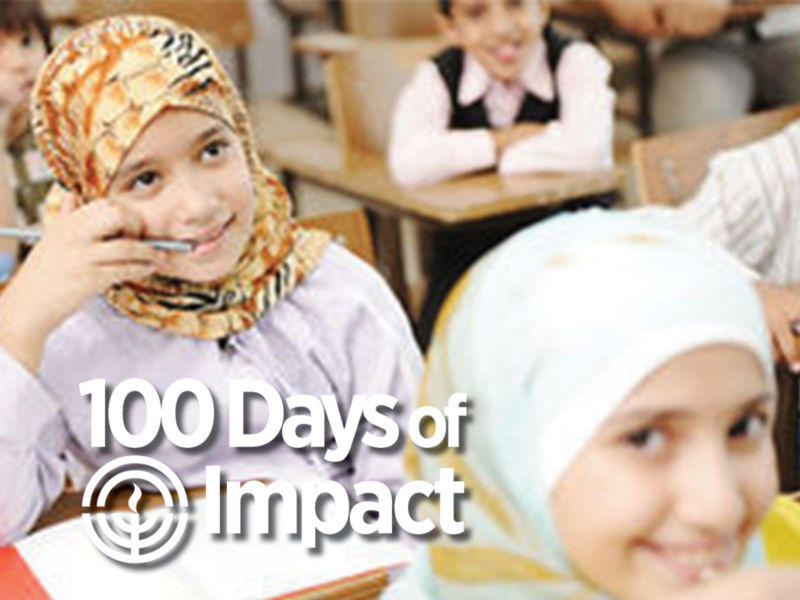 As we approach the end of our 100 Days of Impact, we share the hope of Shiur Acher (A Different Lesson). A new recipient of Federation's Overseas Special Projects annual allocation, Shiur Acher is expanding its efforts in Arabic communities across Israel. Working to ensure a brighter Israeli society for all, this Federation-supported mentoring and supplemental education program encourages every child to dream, believe in themselves, and be inspired through enriching and meaningful relationships. Founded in 2002 to develop meaningful civic involvement in the Israeli public school system, Shiur Acher works to expand opportunities for children throughout the country by connecting schools with mentors from various professional backgrounds. Ranging from technology to finance to civic engagement, volunteers deliver original, high-quality supplemental education to under-served classrooms. With over 200 courses across Israel, and over 2000 volunteers, Shiur Acher currently serves thousands of children from a variety of backgrounds. Because of the generous support from you, Shiur Acher is able to establish additional courses and build its volunteer base to help empower disadvantaged Arab children and youth to reach their full potential. Shiur Acher is galvanizing vital partnerships through meaningful civic involvement and volunteerism in schools belonging to Arab communities across Israel. The program creates a living bridge between working professionals and disadvantaged school children, exposing the children to new fields of interest and encouraging them to dream and explore new horizons and possibilities. Join us in raising $4 million dollars during our community campaign. With your support we do great good!